Marketing and advertising have evolved in many ways over the past decade, particularly with the ways we consume media, most notably social media. The advent of social media has ushered in a new wave of creators— the talented individuals who have showcased their creativity and developed a following around their content. The #paid team decided to tackle this challenge by working with the team at Nielsen Consumer Insights on a marketing effectiveness study to better understand the consumer impact of branded influencer marketing materials, specifically reviewing the creative campaign of a major food and beverage brand. Evaluate the effectiveness of influencer marketing on key performance indicators (recall, affinity, etc.). Assess the attributes associated with each piece of content (unique, credible, cool, etc.). Determine the impact of influencer marketing on future purchase decisions. As a basis of comparison, the team wanted to establish a benchmark against the primary channel for brand-based marketing—video advertising and TV commercials—by using a pre- and post-exposure methodology, often used by Nielsen Media Lab. The published study can be found on the #paid website. The results were surprising but insightful into the ways consumers view these different types of content. The research showed that video advertising performed extremely well on brand recall and driving brand awareness. However, social media content drove stronger brand perception shifts, and content quality was viewed as equivalent or greater than traditional video ads. Many marketers view these two investments as an “either/or,” essentially creating a divide between the two channels. In the end, the research revealed the various impacts of marketing and how they actually work best simultaneously. When consumers see a TV ad, they see the brand logo, product shot, key claims and tagline. Catchy jingles can get stuck in people’s minds. All of this works well to get people to notice and remember a brand, but this is only the first step within the path to purchase. 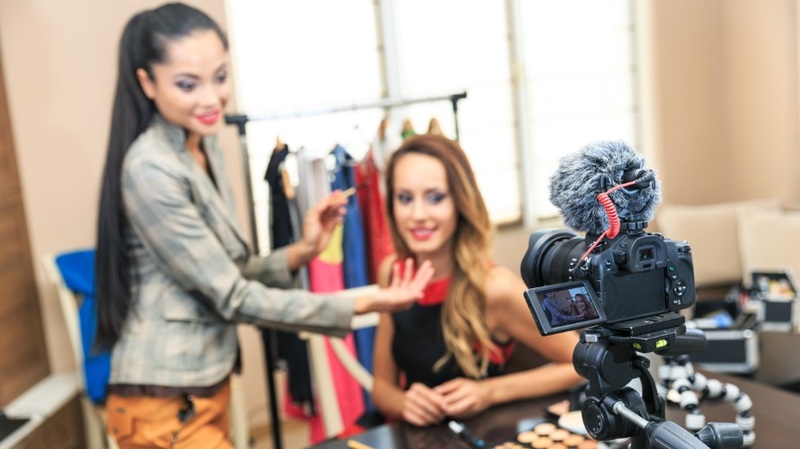 Influencer marketing takes this a step further by integrating products into the creators’ lives that consumers seek inspiration from and relate to. In short, creators make products highly relatable and desirable. These attributes have been shown to increase consideration and purchase intent—the next stage of the path to purchase. Marketers should look at how we develop creative content in the 21st century. It doesn’t require pricey studio rentals, a production crew, casting talent and editing anymore. All of these tasks are performed by content creators—the 21st century production crew. Initial concerns about the quality of the content were put at ease when the results showed that content quality was actually viewed as equivalent or exceeding that of the traditional video ad. Measuring the impact of brand marketing has always been an elusive and tricky thing to figure out. The ways we measure the impact can vary depending on the type of campaign that’s run, the objectives set out and the conversion funnel. That said, establishing campaign goals and running brand measurement studies or any conversion analysis are excellent ways to track the performance of influencer marketing and determine the brand’s return on investment.